Getting comfortable with manipulating the sound of your snare will allow you to pull a seemingly unlimited amount of sounds from just ONE drum. It’s really important to understand the limitations of your instrument so you can play and experiment within those boundaries. In this video, I’ll be using my Dunnett snare drum. Although this is a high-end snare, it’s possible to make it sound terrible if I don’t tune it correctly. Let’s jump right in. 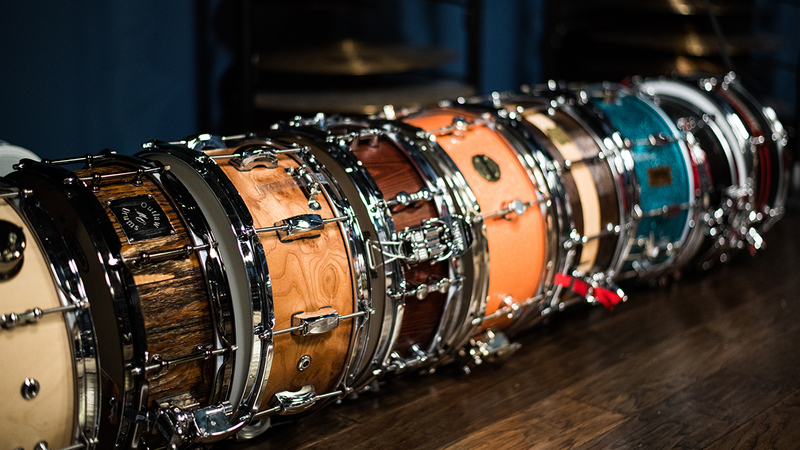 Here are some ways to utilize the full potential of your snare drum, regardless of the cost. Start by loosening all the tension rods on the batter head. This will give us a nice, neutral starting point so we can start from the ground up. Next, tighten the rods until each of them are just barely touching the hoop. You can also use your hands to get each rod to “finger-tight”. Continue tightening the tension rods in a criss-cross pattern around the drum. Start with half and full turns, and make sure you tighten each rod evenly. Finally, tap your finger on the drum head right beside each lug to listen to the tone. Try to match up the pitches. Note: The kind of drum head you use doesn’t really matter, however, we recommend that you don’t use the stock heads that your drums came with. 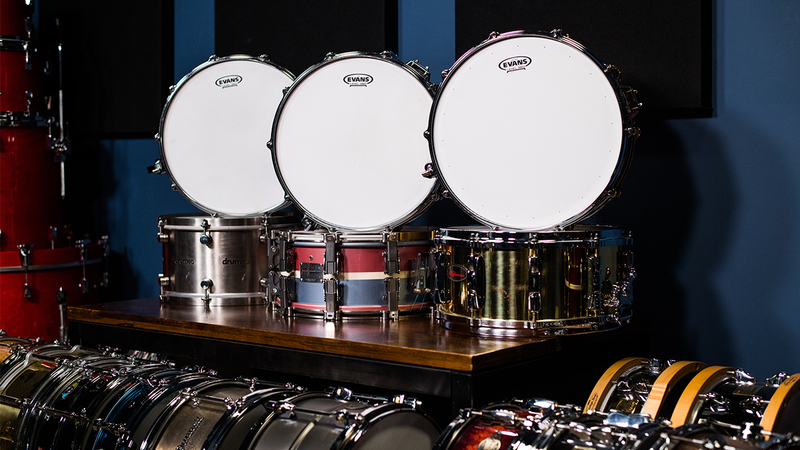 Evans and Remo are both great options when choosing a quality drum head. I’m using a very wide set of wires, but use whichever set of wires that suit you the best. If you haven’t tested different kinds of snare wires out, don’t worry about it for now! The biggest thing to focus on is making sure the snare drums are tight enough to produce a responsive sound, yet loose enough so the snare doesn’t sound choked. Do the exact same process as we did in step one, but this time on the bottom head. The only difference here is we’ll be making the bottom head much tighter than the top head (table-top tight, in fact). You don’t want to snap the drum head, but chances are it can be tightened up more than you think. Drums need to speak. 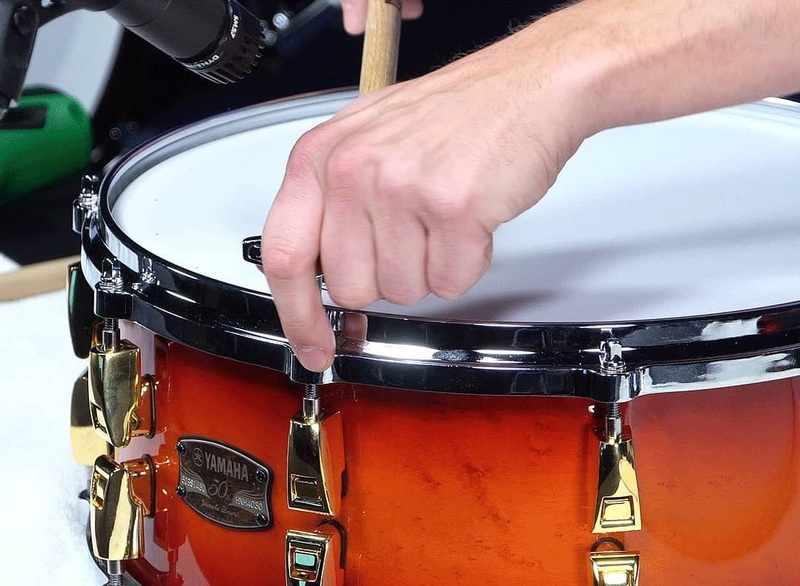 If you hear a little ring or buzz from your snare drum, that’s totally cool. You don’t want to muffle your drum so much that it removes the character and makes it sound like any other drum. That being said, it also heavily depends on the musical scenario you’re in. Experiment. This final tip is mostly directed towards beginners, but I think every drummer needs to keep this in mind: how you hit the drum makes the biggest impact on how it sounds. Play with authority and confidence. If you’re just starting out – don’t fret. Just by practicing daily and working on your rudiments, you’ll gradually get more and more comfortable with controlling what noises come out of your snare. Don’t get caught up in tuning your drums for hours and hours at this level. Just play! Thanks for reading! If you have any questions, please don’t hesitate to reach out to me on my Facebook or Instagram page.